But while hive mind can be faulty at times, the general rule is that if a product has an avid, devoted fanbase—or, better yet, has become a household name—it's probably pretty stellar. And there are those select few superstars that have managed to maintain this cult-classic status for years and years—which is pretty remarkable, considering the research, technology, and ingredients that have become so readily available since they first hit the market. More remarkable still (and perhaps to further emphasize that point): Of all the standout items we compiled here—some originating more than 60 years back—only one is no longer available. One! They're all that good and that beloved. So take a look back with us at the beauty world's biggest fan favorites throughout the years. Your beauty history lesson begins below. With icons like Elizabeth Taylor, Grace Kelly, Audrey Hepburn, and Marilyn Monroe in their heyday, it's only natural that women everywhere wanted a piece of Hollywood royalty—even if it was just the same color of lipstick. You'd be hard-pressed to find a makeup guru now who doesn't sing the praises of this emollient cream. A staple for such famous faces as screen siren Ingrid Bergman, the iconic Jane Birkin, and modern muse Karlie Kloss, it makes a great base for makeup and also provides the perfect dewy finish when dabbed on top. Another red carpet powerhouse, Elizabeth Arden's Eight Hour Cream technically debuted in 1930, but Marilyn Monroe's love for the product sealed its popularity in the years that followed. Makeup artists today still swear by the stuff, mixing it with foundation to get that perfect dewy finish. Launched in South Africa in 1949, Oil of Olay's signature formula quickly became a skincare staple across the globe—even though no one was really quite sure what it did. (That was purposeful marketing, since the founder of the brand wanted it to be perceived as a miracle "beauty fluid.") The brand has since dropped the "Oil of" and expanded to a decidedly more transparent collection of products. It was a makeup-heavy era (hello, Twiggy), but women in the '60s still knew that a done face required a solid base. Fortunately for them, they now had their pick of Cetaphil, La Mer, and more. True story: Clinique came about as the brainchild of a Vogue editor, Estée Lauder's daughter, Evelyn, and a dermatologist in 1968. Their simple but effective moisturizer was one of their first products, and it's safe to say it's been a lasting success: A bottle is reportedly sold every five seconds. In 2013, the brand rolled out a new formulation, this one fortified with hyaluronic acid. It's hard to imagine a world where every beautiful celebrity didn't credit their agelessness to La Mer's luxurious formula, but this fountain of youth wasn't around before the 1960s. Farrah Fawcett's bronzed skin, sun-bleached locks, and signature toothy glam pretty much sums up beauty in the '70s, which was all about enhancing a healthy glow. We doubt this looks familiar, but you might be surprised to learn that this was the first iteration of Benefit's Benetint. And the revelations don't stop there: The multitasking cheek and lip stain was actually first created for an exotic dancer. The bottle has changed, but that telltale color combo certainly hasn't: That's the first version of Great Lash mascara, launched in 1971. We don't need to tell you that the rest is history, because you probably have a tube sitting in your makeup bag, right? Ah, the era when blonde-seeking teens began to accidentally dye their hair orange. The rite of passage lives on. Thanks to a successful ad campaign featuring a French-accented jingle, this self-tanner (one of the very first) surged in popularity in the '80s. This hypnotic, heady blend of coriander, tuberose, and opoponax remains a seductive option for date night. Not the deodorant, though it certainly had its day—we're talking about the trips you most definitely took to your local Body Shop or Bath & Body Works, dousing yourself in the latest and greatest fruit-inspired essence. It was also the era of Tommy Girl and Calvin Klein—thanks in part to their respective spokesmodels, Aaliyah and Kate Moss. Makeup kits changed forever when this highlighting pen came on the scene in 1992. Touche Éclat's ability to oh so subtly sculpt bone structure, blur imperfections, and create a lit-from-within glow is still so impressive that a tube is sold every 10 seconds. The romance might have begun during afternoons at the mall (sniff-testing ev-er-y-thing that Bath & Body Works had in stock), but Cucumber Melon remains one of the store's most beloved fragrances for women of all ages. They say hindsight is 20/20, and once we gloss over the celebutante style mishaps of the mid-aughts, it's very clear that it was quite an innovative time for hair, makeup, and skincare. From the Clarisonic to the Beautyblender to MAC's universally flattering Ruby Woo lipstick, everyone's routine got just a little bit easier during this decade. Our foundation technique changed forever (for the so much better) when Rea Ann Silva introduced this smartly shaped sponge in 2003. Countless competitors have tried to nab some of the glory, but the Clarisonic still remains king—and inspired the boon of at-home beauty devices. Our focus has always been on that rainbow of colors, but did you know that Juicy Tubes were the first-ever tube lip gloss when they hit the market in 2000? A long-lasting red that flatters all skin tones (and makes teeth look whiter to boot) was obviously destined for stardom. Ruby Woo, we love you. Long gone are the days when beauty editors would fly home from Paris Fashion Week with suitcases full of Bioderma—the Internet has made it ridiculously easy to bring the best international products to your doorstep, no plane ticket needed. In turn, we're now scaling the globe for the next big thing—and we've found plenty, from a beloved Swedish fragrance brand to the wild and wacky world of Korean beauty. On the flipside, there's a simultaneous focus on all things niche and local, as there's plenty of appeal in supporting a small business and finding a killer product or brand before it hits the big time. (Many of them happen to be eco-friendly, too—one of the perks of small-batch beauty.) But the ultimate key to cultdom in this day and age? Make the packaging Instagram-friendly. We're not exaggerating when we say that editors used to hoard bottles of Bioderma after trips to Paris—the gentle water-based cleanser is that good. Thanks to e-commerce, now we can all adopt the French drugstore staple. We're practicing a little foresight here, since this miracle serum only just arrived on the scene about a year ago. But its rise to success has been fast and furious—and the story behind it is both fascinating and the very essence of the artisanal beauty movement that's still in full force here in the U.S. The short version: April Gargiulo, looking for a natural solution for her acne-prone skin, recruited some smart friends in the biz to help her concoct the ultimate botanical solution. In just a matter of months, she had beauty editors declaring her final formula "the face oil to end all face oils." 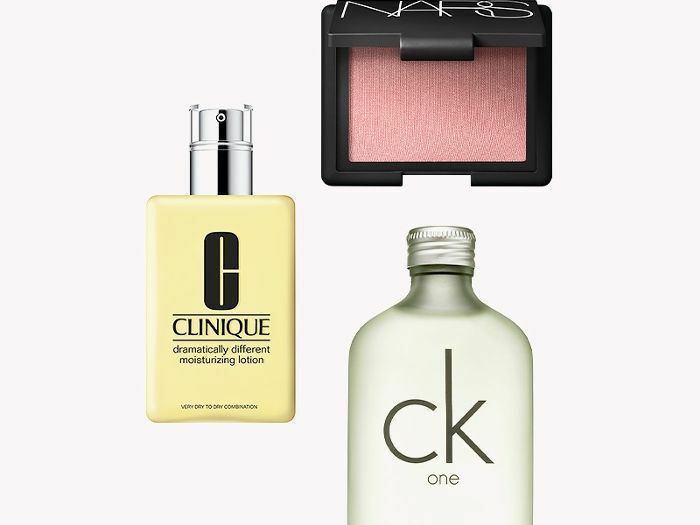 Do you swear by any of these products? What would you like to add to the list? Sound off below.